Queen of the Clan: Summer Time Give Away: The EZ View Desktop! 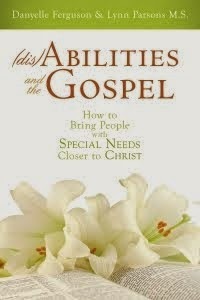 This is a weekly give-away series. 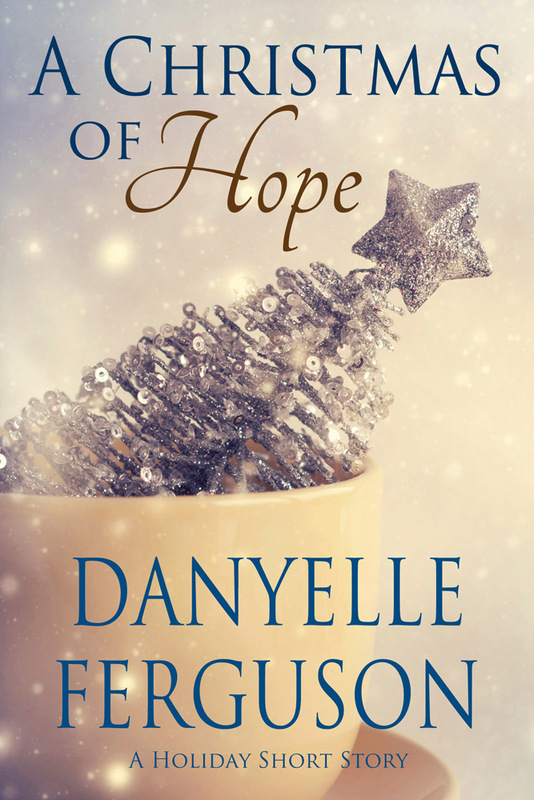 Each Monday from today until August 31st, a new item will be available for my readers to win. There are lots of ways to enter, so be sure to read all the rules carefully! Receive 3 entries - Go out to The Original Scrapbox website, check out their products, then leave me a comment here telling me which product is your favorite and what you'd like to do with it. - Add my QOTC button (on my sidebar) to your blog or website & leave a comment with a link. This week's Give-Away is a fabulous EZ View Desktop from The Original Scrapbox Company - a $200 value!!! My friend, Rachelle, has an EZ View Desktop and absolutely LOVES it! She sent me these awesome pics of her EZ View Desktop. I thought you'd like a more visual example of how much it actually holds. Isn't it the most incredible thing ever? I'm so totally excited to offer it as this week's give away! I'm personally not a huge scrapbooker. But my mind has been going crazy thinking of all the awesome ways I could store my writing supplies, books I'm reviewing, and fun photos of my kids. So if you aren't a scrapper, think outside of the box and how you could personalize this awesome desk. Plus, as a bonus, The Original Scrapbox Company is offering a coupon code for all my Queen of the Clan readers. 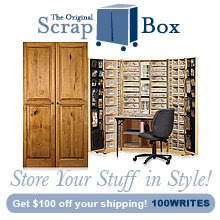 If you place an order for the Workbox, Craftbox, or EZ View Craft Desk, you will receive $100 off shipping by using this code: 100Writes During this contest, the EZ View Desktop has free shipping. Weekly Question: How many removable canvas totes are included in The Workbox? Remember, this contest ends on Friday, July 3rd at 12 noon (CT). This is going to be a hot contest, everyone! I've added a few extra ways to enter just for this contest. Be sure to take advantage and enter, enter, enter! The mini box is awesome and would be great in my hobby room to organize all my craft "stuff" so it looked nice instead of a cluttered mess! I would love the craft box. I do mostly digital scrapbooking, but I have plenty of old stuff that I haven't gotten around to, yet. It would be the perfect size for what I have, and set up great! Put me down for one entry for being a follower! Put me down for another for following you on facebook! Hope I win! Wow I LOVE the vanilla raised panel workbox! I just started converting the nursery into a craft room and this would be perfect! Thanks for the link! The EZ View Desktop is actually my favorite item. I love the whole craft desk, too. But the top is just so clever and cute. Aside form my knitting and crocheting, I also embroider and draw, so those compartments would be perfect for holding my needles, colorful thread and my extensive collection of pens and brushes. I love it! 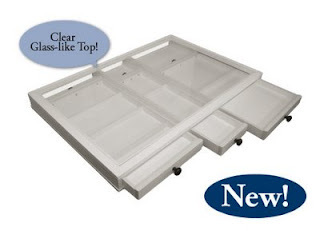 Visited the Original Scrapbox website, and really like the EZ View Craft Desk. Love all the organization within easy reach. Since I am a stamper, this would be great for my stamping and papercrafting supplies. Do I have to choose just one on the Original Scrapbook site?? Ok. My scrapbook room is now DD13 room so my scrapbook stuff is stored in the basement. I would love anything on this website. I do like the EZ View Craft Desk. All of the things are cool! Fun, fun, fun. I actually just saw all of these at a scrapbook convention. I like the Mini Box I would use it to hide all my stuff. I would probably use it for quilting supplies also. 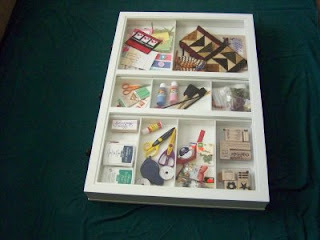 I love the workbox...I would put it in my craft area and replace some of the smaller things I try to organize the area with.I love the idea that it closes everything inside of it. The craft box is sooooo perfect! WOW! I can't wait to post that link for my friends! I just became a follower of your blog. Thanks for all the great contest this summer. 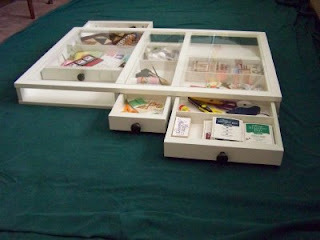 # 3 My daughter and I like the Storage Stuff to put in our srapbooking supplies..
My favorite is the ribbon organizer. I have my office and am pleased with how it is organized for now, but my ribbons...well, lets just say they need more than just a drawer. What a mess I have! My favorite is the EZ View Craft Desk. To me this would be an awesome sewing table. I would be able to find things. I love the EZ View Craft Desk. The large worksurface will give me lots of room to create, as well as lots of storage options. I especially love the storage bins on the side panels. Too cute. I am a new follower.. I saw your contest on the Pink Stamper blog. I love the mini workbox. I like to bead and sew alot and it would be a nice way to stay organized. I would seriously love the ribbon box. Thanks for visiting my site and entering my contest! I hope I win yours . . . that EZ view looks so neat. I really like The minibox. It would be perfect for all my sewing supplies. Great contest. Thanks Danyelle for directing me over here. This is such a fabulous prize to be won! I don't have anything as luxurious as this in my craft room. I've also added your blinkie on my sidebar. But how do I become a follower to your blog? Will have to check out the other links later. Thanks again for this yummylicious blog candy! Have a Happy July 4th weekend! Sorry I was scrolling so fast I missed the follower gadget. Duh! I will add myself later today since Google is doing some goofy stuff this morning. Wow, all of that stuff is awesome, I had never seen that before. It would be great to have a Workbox. Scrapbooking, stamping, general crafting supplies...so many things to hide away. Great way to organize. I am signing up to be a follower. I love the minibox--small enough to fit in a corner and use to worm on, but still oh, so much storage! I am a follower, I have your button on my blog, I am your friend on facebook, and I am a fan of Queen of the clan, and you know I already get your newsletter! Love this week's contest! I became a fan of QOTC on Facebook yesterday! Yeehaw! Oh, and while I'm at it, I just added a link to your blog on my FB profile, too.